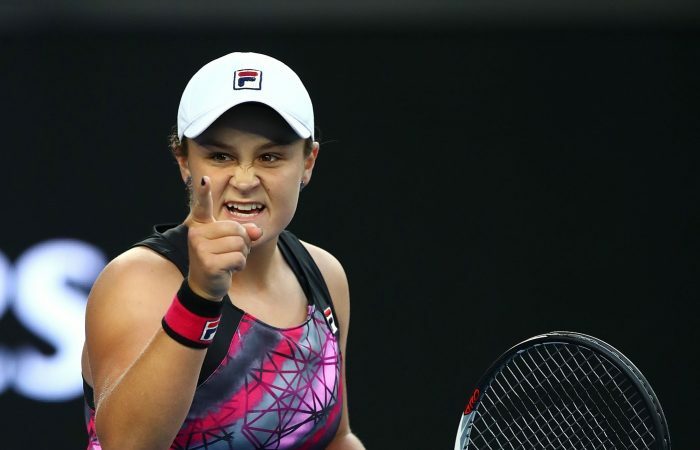 Success helps, of course, but there is much more to the second coming of Ash Barty than the numbers confirming the 21-year-old as Australia’s top-ranked woman and one of the sport’s most improved. “Comfortable” is a word Barty uses often these days, as she talks openly about everything from her evolving game, to life on tour and how much better she feels in her own skin. It seems almost hard to believe now that just two years ago the talented young Queenslander was still yet to find her way back to competition after a 21-month absence. The return journey included a cathartic stint playing Big Bash cricket, but it was tennis that Barty soon realised was her first love. Injuries punctured her early progress, but that was a delay rather than a derailment. Her first full season at senior level has been a triumph, having started with no grander ambition than a place inside the top 100 but ending with her maiden career title in Kuala Lumpur, a first Premier 5-level final in Wuhan, four top 10 scalps, qualification for the WTA’s Elite Trophy in Zhuhai and a guaranteed Australian Open seeding. 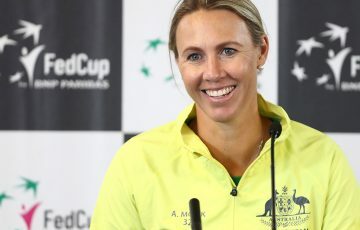 Her doubles CV, meanwhile, was boosted by three more titles with Casey Dellacqua, runners-up honours at the French Open and a debut appearance at the WTA Finals in Singapore. These results have seen Barty become a finalist for the Newcombe Medal – honouring Australia’s most outstanding elite tennis player – alongside Nick Kyrgios, Daria Gavrilova, John Peers and Jordan Thompson. “A lot of it’s just been to do with I’ve been so much happier this year, so much happier this time around. I’m just more comfortable in my own skin and when I’m out on the court,” Barty says. “I think I just learnt my lessons, and I feel like I’m able to play with more freedom on the court, and even the matches where we haven’t come away with the win, I’m still able to walk off the court pretty happy with the way I went about it; it wasn’t just about the result. 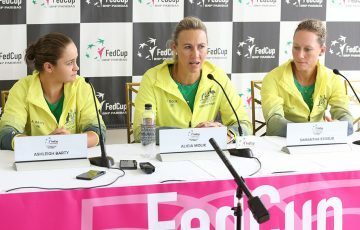 Barty’s habit of referring to herself as a collective may be a quirk of conversation, but there is no doubting the influence and support of Dellacqua and an off-court team headed by coach Craig Tyzzer. She is fitter, stronger and more mature on court, moving far better, able to use her forehand and serve more effectively, and embracing the point of difference that is her slice backhand. “The longer this year’s gone on, the more she feels like she sort of belongs on the tour,’’ says Tyzzer. “This is really her first full year, and to be around the girls more often and to experience playing against them, socialising with them, and seeing them in the locker-room, it’s a big change for her. And that’s where Casey’s made a big difference, in that she’s helped Ash fit in a lot more and certainly helped with a lot of those areas in her tennis. 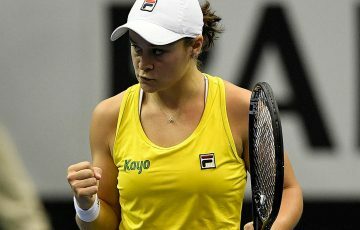 The computer confirms it for a true rankings believer, with Barty confident the numbers do tell the story. 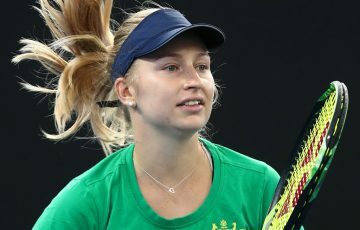 “My first time around I wasn’t a top 100 player, I wasn’t ready to be a top 100 player, and now I feel like I’m comfortable on tour, I’m comfortable seeing the girls every day, and I’m comfortable just having a day in day out focus on trying to get better and trying to win matches,’’ she says, while acknowledging her lack of injuries as another key factor, and declaring a lack of fear no matter the calibre of her opponent.